MISSION STATEMENT: Transport Oregon Veterans to Washington, D.C. to visit those memorials dedicated to honor their service and sacrifices. 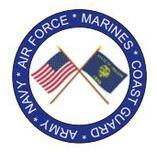 GOAL: Helping every southern Oregon veteran willing and able of getting on a plane, to visit THEIR Memorials. PRIORITY: Top priority is given to our most senior heroes – survivors of WWII and any veterans with a terminal illness who wishes to visit THEIR Memorials. PHILOSOPHY: Since America felt it was important to build these memorials, Honor Flight of Oregon believes it is equally important that Veterans actually get to visit and experience THEIR memorials. The organization is comprised of volunteers who believe in the mission of the Honor Flight Network. The Board of Directors and volunteers receive no compensation for their work with Honor Flight, they donate their time and efforts because they believe in America and the Honor Flight Mission of honoring our veterans for their service and sacrifice. “We can’t all be heroes. 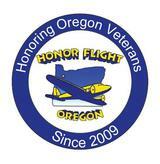 Honor Flight of Oregon is a non-profit 501(c)3 Corporation registered in the state of Oregon and headquartered in Grants Pass.